Grilling is the best way to cook food. 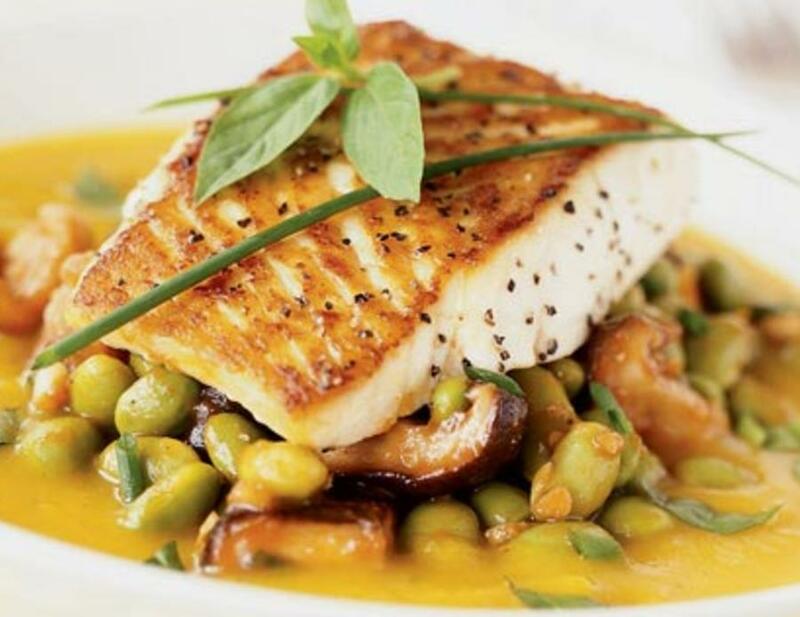 From burger patties, meats to fishes grill anything and everything and eat healthily. So, how is grilled food beneficial to your health? Let’s find out. When you grill your food the extra oil that was supposed to get into the food would drop off. This means you consume less fat. If you grill vegetables it is better for them because it helps the vegetables to retain all the minerals and vitamins. When you steam or cook vegetables a lot of the nutrients are lost in the process. Same is the case for meat. 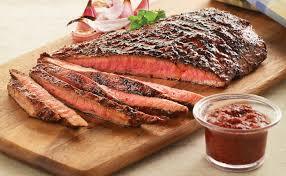 Grilling meat helps it to retain their nutrient factors. This means grilling aids you achieve the maximum nutrition from your food. Another important thing about grilling is it keeps the moisture of the food intact. So if the meat is juicy you will tend to use less or no butter in your food. Hence, you save yourself from fats and cholesterol. Are those points enough to convince you that grilling is the best way to have juicy mouth-watering food? Whenever we say grill the picture that comes to our mind is having a grill pan with food in the backyard with smoke on the rise and blaring music on the radio. However, today I will be writing about some of the uncomplicated grill recipes that you can make indoor. 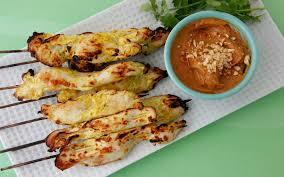 Our first easy grilling recipes is Thai Chicken Satay with dipping sauce. So let’s start. In a blender, put all the ingredients (except for the chicken) and blend it until it becomes a thick sauce-like paste. Then take the chicken strips in a ziplock bag. Pour the mixture into the bag with the strips. Lock the bag and squish it so that the marinade covers every bit of the chicken. Then refrigerate the chicken for up to 3 hours or more, preferably 12 hours. When it is time for grilling, preheat it for five to ten minutes, temperature, moderately high and oil the grates. While the grill is being heated take the chicken out of the fridge as well as the zip lock and put it on the skewers. Push the skewer from one end and make sure the head comes out from the other side. Is your chicken ready? Is your grill ready? Okay, now let’s grill. Put the skewer chicken strips on the grill and close it for four to seven minutes. Occasionally, open the cover and change the sides to ensure that no parts of the chicken remain uncooked. How will you know that it is cooked? Press the chicken with a spoon; if it feels marginally sturdy then it is cooked and ready to be served. Once it is prepared you can serve it with any dipping of your choice. 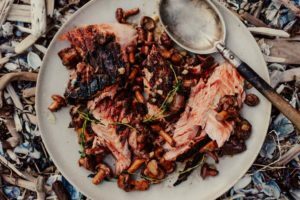 The second easy grilling recipes recipe in our list is about Flank Steak that is very easy to make and the plus point is it takes very less time to make. Yes, a steak and that too in a less time! So let’s look at the ingredients and its procedure. Take a mixing bowl and pour all the ingredients in it except for the meat. With a whisk, mix it well. Make sure there are no bumps. Then put the meat in a zip lock bag and pour the marinade mixture in it. Put the chopped green onions inside and lock the bag and make sure that the whole meat is soaked in the mixture. Then refrigerate the meat for two hours to the least. For best outcome refrigerate it overnight. After you have refrigerated take out the meat and heat the grill. Oil the grates as well and put the meat on the grill. Cook and flip it from time to time. Check the hardness of the meat. When it reaches firmness that matches your desire. Just pick the steak and put it on a cutting board. To prevent the heat from dissipating wrap up the steak with Aluminum foil and leave it like that for at least fifteen minutes. Then, with a knife, cut the meat across the grain of the meat. This means the meat should be cut in alliance to the direction in which the muscle fibers are aligned.This is a very handy recipe because you can also use the broiling method to cook this. Lastly, up next is a recipe for Pan-Grilled Salmon with Red Pepper Salsa. Take the chili powder, ground cumin, salt, ground coriander and chipotle chile powder in a bowl and mix it well. Then take the fillets and apply the mixture all over it. Then use the cooking spray over the preheated grill pan and put the fish on it. Cook the fish for four minutes and check for the desired level of firmness. In another bowl, put all the ingredients for salsa and with a big spatula or spoon stir and mix completely. Well now, your salmon and salsa both are prepared. Put it on a plate and garnish it well. As for me, excuse me a bit as I go and prepare my food as writing so many recipes has given me a growling stomach. Hello, I love your Blog Post. I recently completed an Blog Post on storing beef. I like to make my own gammon for Christmas!. I will be creating fun pudding to go with it. The teeny boppers will be at home with me and I am positive they are going to enjoy it.